​More than just hotels — think resorts, restaurants, cruise ships, and more! Get the skills and knowledge in all the key areas of hospitality, including human resources, accounting, marketing, and food and beverage. Our Hospitality programs offer students the opportunity to train and gain knowledge in key areas of the Hotel and Resort Management industry. Focusing on Human Resource Management, Accounting and Marketing along with training on direct operations such as Food and Beverage and Resort Management. Gain expertise and knowledge which directly links with the business today. Each course area is broken down into the key components and with industry career days and guest speakers to compliment the subjects. This academic experience offers great diversity and depth and equips the student with the skill set required to ensure success in every operational area of hospitality organizations. Students will divide their time between working on assignments, reports or presentations, reading, listening to class lectures, and field trips. We run our Hospitality programs in a dynamic and structured manner, with interactive and interesting material that is shared by professionals in the business. Learn why human resources is an important aspect of business management and be guided through an overview of current human resource practices. ​Learn how to track and record all important activities regarding the creation of monetary inflows of sales revenue and monetary outflows of expenses resulting from operating activities. ​Understand the concepts of sales and marketing and gain effective strategies and practical applications critical in today’s hospitality industry. ​Gain an overview of the resort industry operating in the various market places today and explore both the impact of development on operations along with managing the operation in various settings. Additionally, the uniqueness of timeshare resort operations, specialty resorts, cruise ships, and casinos will be discussed. ​Develop an understanding of restaurant business plans, restaurant profiles, and restaurant operations including control and overall profitability. Gain the skills to become an effective food service manager in a highly demanding environment. 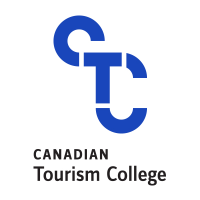 ​Learn first-hand by touring facilities, meeting industry professional, and considering career options.